Thus, workplace conditions for garment workers are abysmal: approximately 60% are denied minimum wage and 93% are denied overtime wages. Workers toil in overcrowded factories, in which cardboard boxes and fabric bundles block safety exits, and at times are even locked inside the factories. Factories are often sweltering due to poor ventilation and industrial steam presses. The factories lack filters to reduce fabric fibers in the air, placing workers at risk for serious respiratory illnesses. Workers frequently do not have access to drinking water and clean bathrooms. Workers receive punctures from sewing machine needles or tag guns, with no assurance that the equipment is sanitized after a puncture. Employers typically do not provide First Aid kits, leaving workers to use dirty oil from sewing machines and discarded fabric strips on their wounds. Finally, workers endure repetitive motion injuries to their wrists, shoulders and back, and eye strain due to poor lighting. 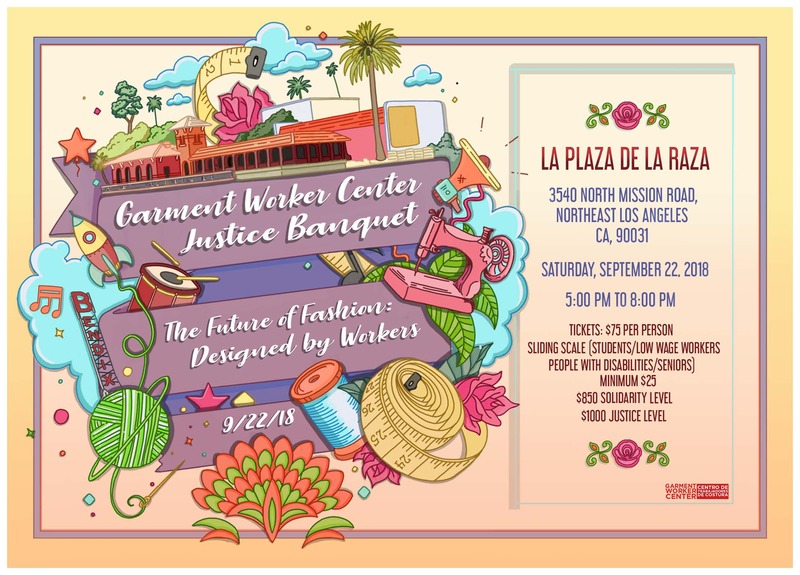 In response to these conditions, Los Angeles garment workers have been at the forefront of fighting for change in the industry. 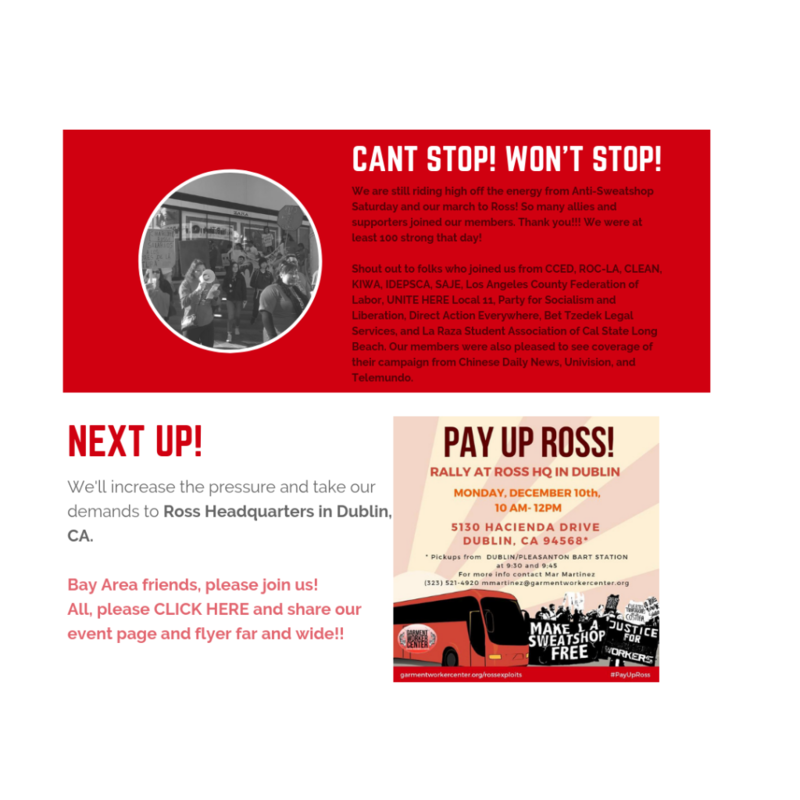 Workers have led dynamic retailer accountability campaigns, demanded improved enforcement of state labor protections, collectively demanded owed wages in thousands of cases, acted as peer leaders in teaching fellow workers about their rights, and spearheaded health and safety campaigns in the garment district, such as a Clean Bathrooms Campaign. GWC members meet regularly to evaluate the state of the industry and craft strategies to effectively respond to the needs of garment workers.